Safemaster Safety Products supply a range of height safety and construction safety products including harnesses, anchor point systems, guardrail systems, ladder systems, walkway systems, access hatches and more. The Farmers Mailbox for over 1000 farm products online. 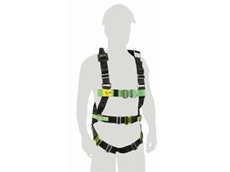 12/10/10 - Miller by Sperian, a specialist line of personal protective equipment (PPE) adds a new safety harness to its fall protection range. 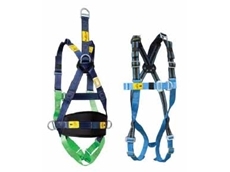 16/08/10 - Miller by Sperian, suppliers of global fall protection systems, has added a new Floating Frontal fall arrest attachment point to its range of Miller fall arrest harnesses. 17/07/08 - PasKas Sports and Leather offer dog products like coats, collars, leads, harnesses and foodstuffs. Dog coats from PasKas Sports and Leather are available in various models. 5000 ml dog coat is made from wool blazer and it comes with contrasting PP piping. 14/07/08 - Goodwoods Saddlery offers grooming, clippers, halters, leads, harnesses, helmets, horse boots and bandages, horse rugs, mounts and access, saddles, saddlecloths, stable, swags, whips, training equipment and veterinary products.